Here is a story of a little known Thailand golf club located near the Burma-Thailand, around 75 minutes west of Hua Hin. My friend and USPGA golf professional Graham Samson was there a few weeks ago and wrote this report. KKC Golf & Country Club has operated since 1994. 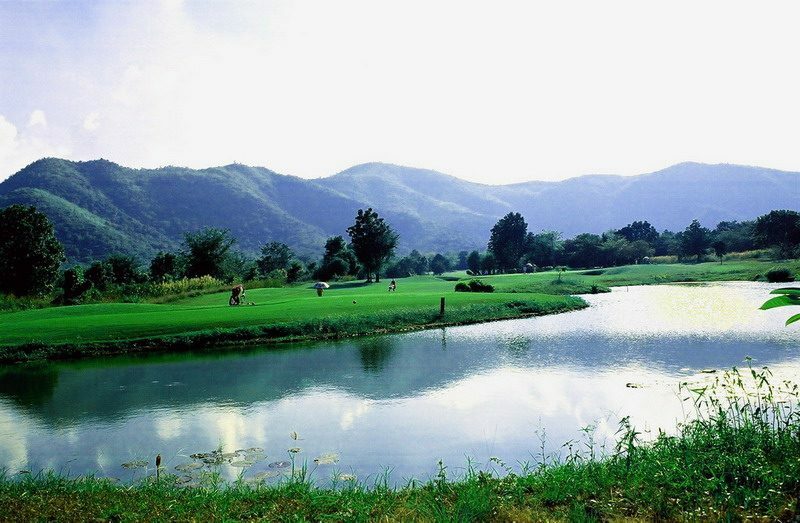 The first 18 holes (Lake and Valley) was designed by Cherd Bunyaratavej, the famous US trained Thai golf architect, and is situated on 35,000 rai surrounded by the Kaeng Krachan National park, one of the largest in Thailand. A new Jack Nicklaus 9 hole Signature course (Mountain) opened for play on March 15. The current plan is to open an additional 27 holes in the next two years, 18 of which are designed by Greg Norman. From the Championship tees the new par 36 Nicklaus course stretches over 3,600 yards and offers some of the most dramatic elevation changes in Thailand. Each hole presents risk versus reward options and is playable for golfers of all skill levels. The Nicklaus design team did a remarkable job of preserving the natural terrain, lakes and streams and moved very little dirt so the golf course doesn’t feel contrived in any way. Interestingly enough, four of the holes dog leg to the left which go against Nicklaus’ early designs in which he seemed to favor dog leg right holes for his patented fade. The Nicklaus Mountain nine is a must play as it was built to international standards and is probably the best conditioned 9 holes in the Hua Hin / Cha am area. It’s 54 kilometers from Hua Hin so the course gets very little play in the off season which will allow it to stay in pristine shape. The next time you are on a Hua Hin golf vacation and are looking for a change from the traditional courses like Palm Hills and Majestic Creek, try Kaeng Krachan Country Club. From what Graham tells us, you will be glad you made the trip.